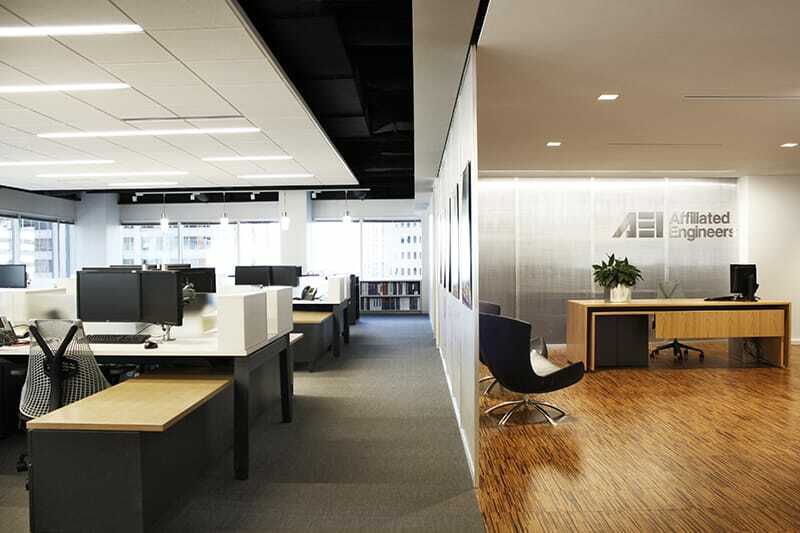 Client Name: Affiliated Engineers, Inc.
Gilbane’s Interiors group provided general contracting services for AEI’s fast-track interior tenant improvement. 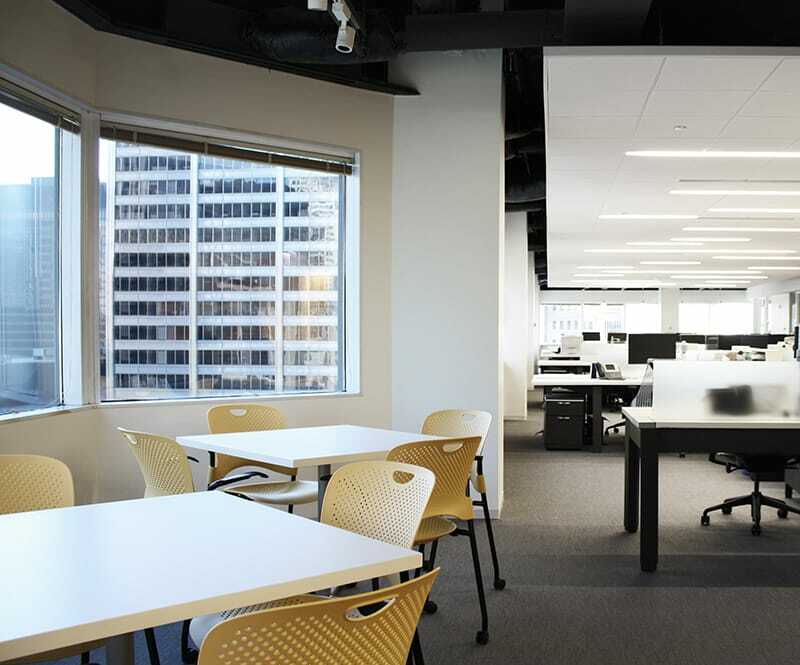 This high end space includes new open and private offices and conference rooms for AEI’s downtown office. The space also features open collaborative spaces with floating cloud ceilings; glass corridor and perforated metal panels; and state-of-the-art voice, data and audio visual systems. This complex renovation proved to be a challenge with regard to logistics. The project was completed in an occupied high rise tower. All work was coordinated around existing tenant schedules so as not to impact ongoing building and tenant operations. Existing electrical walker ducts also posed a challenge for the project team. Extensive floor leveling was required to ensure the floor and electrical walker ducts were lined up with the glass panels. The project team was continually focused on quality to ensure this high end space was successfully delivered. 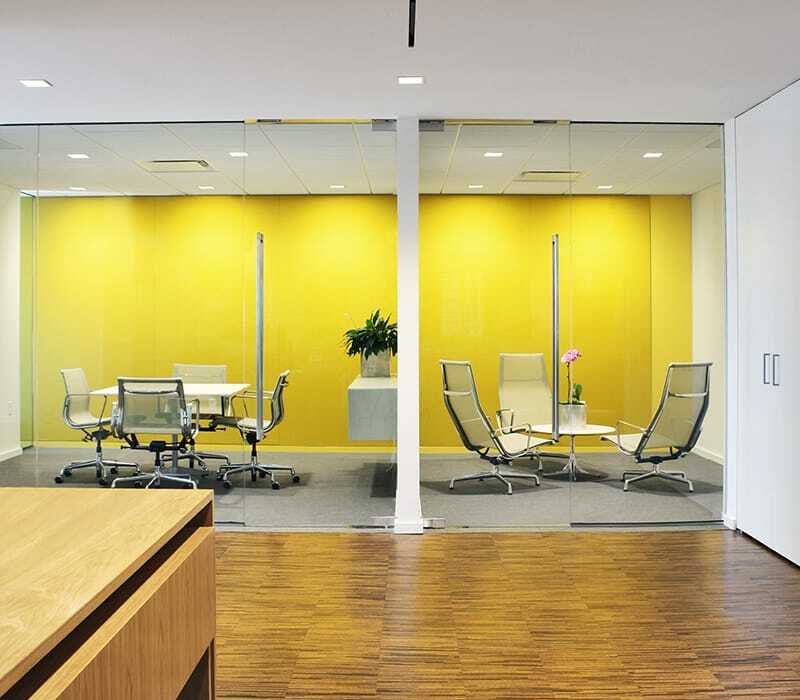 Sustainable features such as cork flooring and daylight sensing lighting were implemented in the space to save the owner money in the long run.